Review - Chewy Exclusive Human-Grade Dog Food, Tylee’s. Chewy is so excited to announce the NEW Chewy Exclusive Human-Grade Dog Food, Tylee’s. These formulas are made with human-grade ingredients just like you’d find at the grocery store—real, whole foods you can see and identify. To prepare this nutritiously delicious food, simply defrost it and serve it. Each recipe is grain-free and has only one source of protein, so it’s perfect for pets with sensitive tummies or allergies. This food can be served as both a complete meal or as a topper to go along with your pup’s diet. 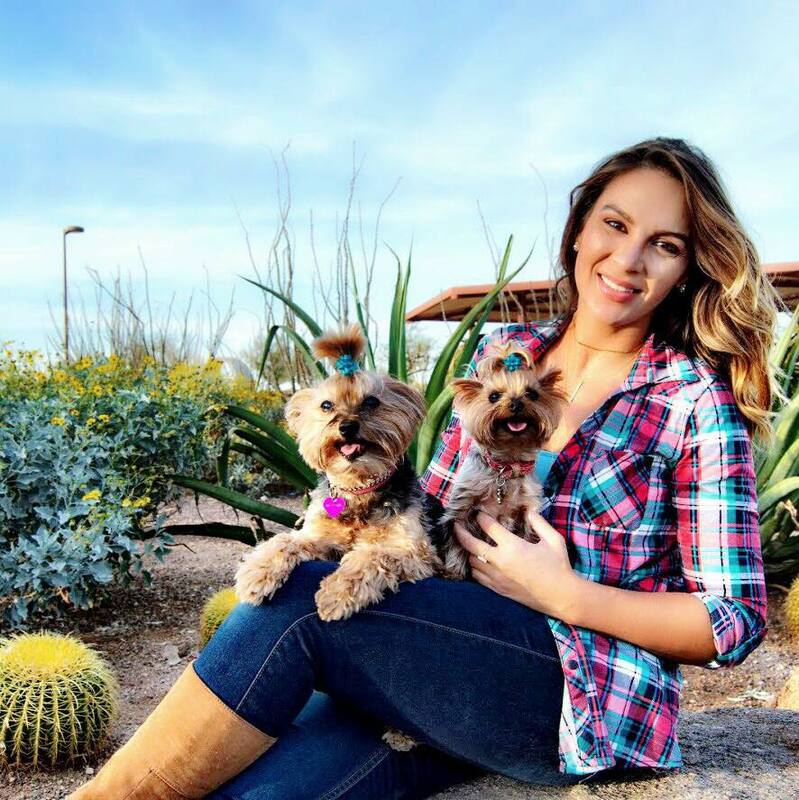 Bebe and Jolie were lucky enough to be selected for a 30-day challenge with Chewy’s exclusive Human-Grade Dog Food, Tylee’s. I was interested in participating because I have never heard of a raw food diet for dogs. My dogs are senior pups with pancreatitis and are missing 70% of their teeth, so I take special care and concern when selecting food. I have to make sure that they can eat it comfortably without harming their gums and I also need to make sure that the fat and protein ratio is correct. I try to stay under 12% of fat and over 20% on the protein portion. We received the Turkey sample which was 13.5% fat and 14% protein. My first thoughts on the product was that it was a cool concept. The food arrived in a box with dry ice in it, so the unboxing was fun and at the same time a little scary. I’ve never really handled dry ice before. I placed the item in the freezer and waited for my dogs’ current food to end its course. I was instructed to take out the food and thaw what I needed for the week, however because I have two dogs I just placed the whole bag in the fridge and let it defrost over the course of two days. When serving the dogs the food, they went nuts. They barked at me and begged, which they normally do not do, nor is it allowed! I didn’t notice a strong odor from the food but clearly, they could pick it up. I was nervous about giving my dog food that is wet, I like them on dry dog food diets as I have found that their stools are firmer and smell less foul on a grain free dry kibble diet. I was super impressed with the ingredients in this food. It contained: Turkey Heart, Deboned Turkey, Turkey Liver, Water, Cranberries, Zucchini, Spinach, Sweet Potato, Sunflower Seeds, Tricalcium Phosphate, Sunflower Oil, Chia Seeds, Ground Flaxseed, Potassium Chloride, Salt, Cod Liver Oil Powder, Ground Cinnamon, Dried Kelp, Zinc Amino Acid Chelate, Iron Amino Acid Chelate, Rosemary Extract, Copper Amino Acid Chelate, Manganese Amino Acid Chelate. With ingredients like these it was fairly safe to say my dogs were eating a better-balanced diet than their human! Here is what the food looks like, it was a bonus that it was super soft and easy for them to swallow given the fact that most of their teeth are missing. Over the next week I fed them about 3/4 cup of food a day. They inhaled their food very quickly and this went on until the food was finished. I did notice that I had to feed them more than once a day on this diet. I think it’s because when I have their dry kibble out they eat it throughout the day and that probably accounts for sustained energy. With this food, they seemed to be hungry all the time. I didn’t notice any changes in their skin, they didn’t break out or itch which is good. I did notice that their hair was smoother and glossier. I only note this because I bathe my dogs in a self-wash station every 5-7 days and the conditioner that I always use had burst in the bag, so I skipped the conditioner and I noticed that their hair was softer and smoother than usual, I blame the food as it’s literally the only change in their routine life. Their stools weren’t as firm as when on dry kibble which I didn’t mind but I did notice they were pooping a little more frequently. This didn’t bother me either, makes me wonder if they were perhaps backed up more on the kibble dry food diet. My final thoughts on this product was that I really did enjoy it. I haven’t seen my dogs go so crazy for a food unless I’m holding up cheese or bacon and I can’t and don’t’ feed them scraps. It’s bad for them at their age. I was concerned with having to feed them more than once a day, as they were always seeming to be hungry on this food. I would like to give the other flavors a try, perhaps something with a higher calorie and protein content. Disclaimer: This food was provided to us by Chewy for an honest review.